Mavic PRO | Explains the items to check before drone flight. Before you fly the drone’s flight, make sure that you can install the damper plate at the bottom of the gimbal in the correct position. If the damper plate is not attached correctly, it may affect the gimbal’s motion or the shooting itself. In the gimbal, hooks are attached to three points in total at the left and right sides and the rear of the front part. Usually, the dumper plate is inside this hook. Since it may be out of time with some beat, let’s check if it is contained properly inside. If the damper plate is disengaged, be sure to return it to the correct position. 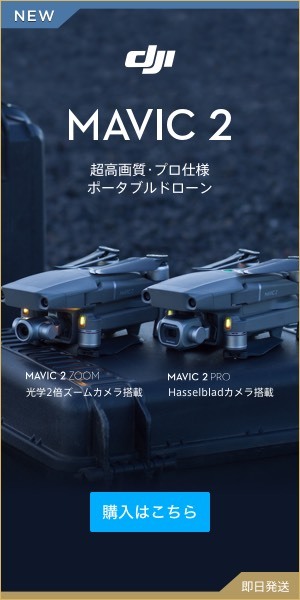 Mavic PRO (Mavic Pro) is a convenient to carry, it is often unknowingly noticed in the conveyance process etc. that the propeller has suffered damage such as scratches and chips. Even trivial scratches and cracks lead to major damage due to vibrations during flight, and if you crash the aircraft, it is ridiculous. Let’s check the propeller as if not to miss even minor scratches. 3: Do not start the motor with Mavic PRO collapsed! When performing compass calibration, let’s do it by fully opening the arm of the drone main body like the flight. Since the propeller is also an opening and closing type, please spread it manually before flight. If you do not spread it, an action that spreads at motor startup will be added, so the drone body will shake. 5: Let the drone take off on a level ground.